As you – of course – know, last Thursday was marked by the kick-off of FIFA’s 2018 World Cup in Russia. This edition integrates numerous technologies, especially one, which we have all heard about by now: the so-called VAR (video-assisted referees). VAR is a part of what is called “FootTech”. What is FootTech exactly, and what are the sector’s leading startups? French comedian Anne Roumanoff launched her own marketplace for artists and performers. Check out her interview published in French in Maddyness here. In his speech given at La French Touch Conference Paris a few weeks ago, Jérôme Lecat shared his experience on entering the US market and gave some advice on what to do – and not to do – in a quest to conquering the American market. 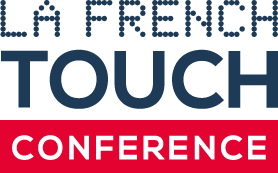 La French Touch Conference is an itinerant business event that aims at promoting entrepreneurial successes and building bridges between French, European, and international ecosystems. Since its creation in 2014 by entrepreneurs Gaël Duval and Cedric Giorgi, La French Touch Conference has gathered more than 4000 entrepreneurs, investors, and key accounts throughout8 editions organized in the cities of Paris, San Francisco, and New York. Each event hosts fine guest-speakers including top C-level executives, public figures, and officials who address key trends and topics in front of international business audiences. La French Touch Conference is also the creator of the world’s only flying startup competition, Pitch in the Plane, which gives startups and entrepreneurs the unique opportunity to pitch their concepts in front of investors aboard a commercial flight.